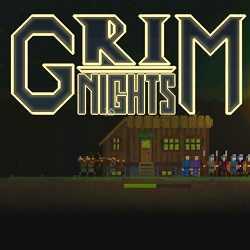 Grim Nights is a Strategy game for PC published by Edym Pixels in 2018. You build a town during the day and defend during the night! Gather resources, expand your village, explore the underground for riches and train soldiers to defend against hordes of the undead.